Otavan Veret is a dark/ritual ambient project out of Finland. Syvys is the second album by the project, which is led by Kaarna (Tervahäät, Slave’s Mask, Anima Artica Label etc..) and Kivelä. There first self-titled album was released back in 2014, also on Cyclic Law. While there is plenty of reference to stellar space in the description of the album as well as the cover-art, this feels to me more like the soundscapes of a person standing upon the Earth, staring into the vast depths of limitless space. Not an astronaut touring the galaxies. Rather a psychonaut, the mind filling with an eruption of understanding as the cosmos unveil themselves to a mystic hermit, as he gazes from some far northern campsite into the depths of space. The mind becoming fully enraptured and enlightened along the way. The self-titled debut took the artists on a similar path as their latest Syvys. But, there is a noticeable difference in the sounds. Percussion was used more often in the first album, and has little inclusion on Syvys, where they use more rhythmic patterns with the synths to create a similar effect, but still contain a bit of subtle tribal percussion. There was also a sort of monotony to both releases, which a reviewer of their previous album considered a downside. But, for most fans of dark ambient and similar genres, we appreciate soundscapes that stretch on for 10+ minutes and gradually shift from one emotion into another, bringing the listener along for a beautiful journey, if only they are patient enough to take the ride. Syvys seems to put this ‘monotony’ to better use (probably a bad word for it as this is really nothing like the so-called monotony of a drone ambient release). The soundscapes quickly pull the listener into their grasp, opening us to feelings of awe, oneness and respite. The long track lengths, instead of making the album boring, turn it into a highly meditative medium, one that I’ve incorporated into yoga, and one which is also quite perfect for drifting off to sleep. The style of the music fits in line nicely with another set of musicians, also hailing from Finland, that blend this feeling of interstellar travel with a simultaneous sense of earthly grounding. That is, of course, the Aural Hypnox label. 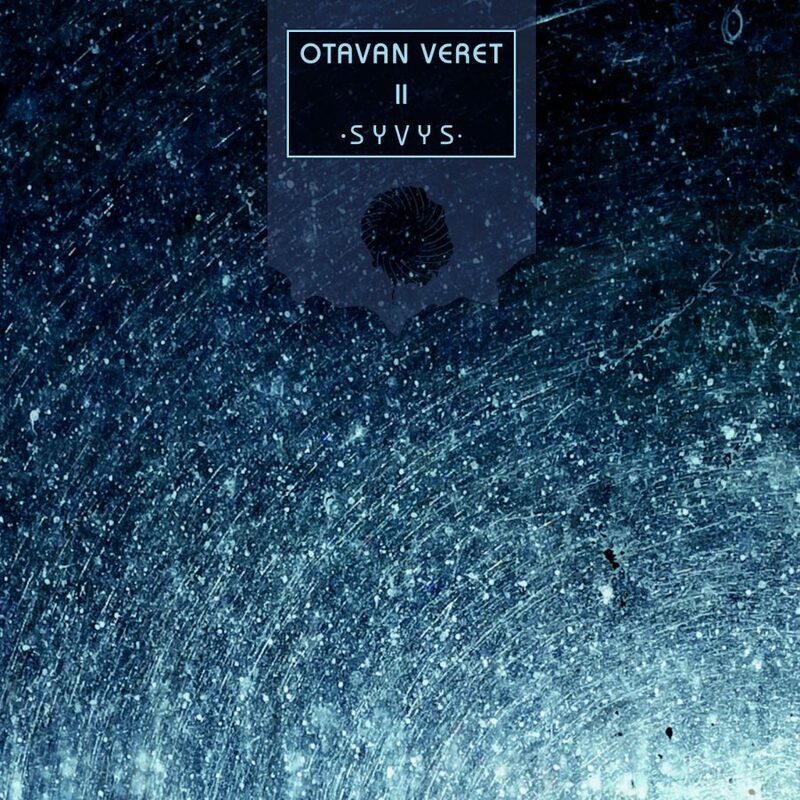 Otavan Veret excels in the subtle inclusion of ritual elements, in particular chanting, which draw ties to the sounds of Arktau Eos or Halo Manash. Yet, there is also a more electronic feel and a musicality that lean toward a project like Lingua Fungi. Cyclic Law has been doing a splendid job over the last few years of working with artists that are outside the Aural Hypnox label, but share many of the same elements, including projects like Bonini Bulga, Altarmang (both side-projects of Kammarheit), Common Eider, King Eider, and Phurpa. “I” starts with a piercing high note, which lingers for the first three minutes of the track before slowly fading into a sacral sort of feel, which vaguely hints at the feel of early work from raison d’être or Desiderii Marginis. “II” contains lingering elements of “I” which forms a noticeable continuity between the tracks, though this one is a bit less active. There is a real depth to the layers of sound on “II” I could make fleeting comparisons here to some of the sound design used by Atrium Carceri. “III” is the highlight of the album for me. For anyone impatient, wanting to find the gem within the release, you should skip to this one and then check out the rest of the album. Though, I greatly prefer hearing it in its proper order. There is a simplicity here that can be deceiving. This takes us closest to the Aural Hypnox comparison. There are definite ritual overtones, but this ritualistic earthly nature seems to melt into the distant cosmos here. The mind of the listener opens and this primal energy pours in. “IV” starts with a high level of almost chaotic energy, reeling off the energies from the preceding track, but as it progresses we are taken into soundscapes that highlight a deep sense of peacefulness and solitude. Here, I get the feeling that we’ve been lying upon the snows of the far north, in some forest clearing gazing upon the stars above. But as we become further enraptured by the sounds, we are slowly losing life, fading off into a deep dark and frigid nothingness. As all fades out, we are left with an almost winter synth sort of outro, which really seems like the perfect ending to this epic journey through the mind, the north, and the cosmos.